Transparency is hard to pin down. While it can be a condition as well as a means and social end, it is the people determining who and what is transparent in which way and why. 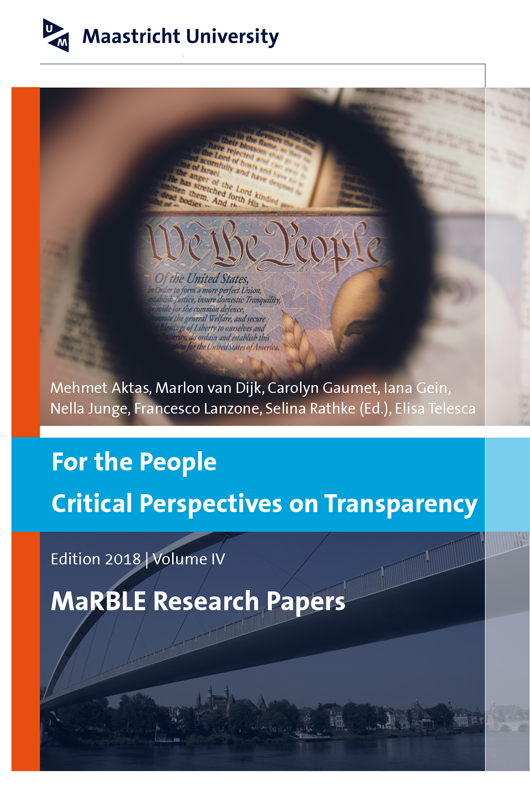 While this volume’s eight contributions reflect different approaches towards analyzing and discussing different directions of transparency, they overall demonstrate that the phenomenon of transparency is and remains an inexhaustible and highly relevant domain for research.